Where is the WebRTC money? We don’t just do this for fun. 1 Comment on Where is the WebRTC money? We don’t just do this for fun. 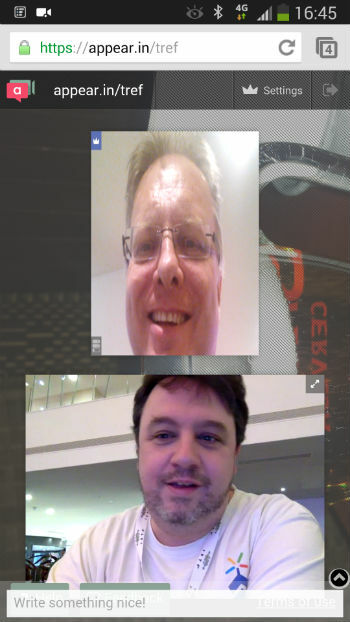 WebRTC monetisation – where is it at? Last week I chaired a WebRTC workshop. There seem to be a lot of them around at the moment. Very trendy/topical. It was an ITSPA/trefor.net event. We previously had a WebRTC workshop two years ago where a room full of engineers were treated to fairly uninspiring demos of WebRTC in action. The uninspiring bit was down to the fact that effectively what we were being shown was person to person video. This kind of service was something that everyone in the room had been offering since time immemorial (we have short memories in the VoIP business – it’s still a young industry). My prior experience with WebRTC, incidentally, was at an ipcortex event the previous year where I was privileged to have been one of the first people to make a WebRTC to PSTN call. Regardless of the number of panel sessions there have been recently on this subject we decided it was reasonable to follow up that first ITSPA workshop with a progress report. The theme of this workshop was the WebRTC business model. Where’s the money? It took quite a few years for VoIP monetisation to happen. In the early years the only people profiting from the technology were conference organisers. Then came a batch of startup acquisitions – SIP vendors being snapped up by established businesses who had woken up to the fact that they needed to be in the game. Now of course VoIP is mainstream and the growth of the ITSPA membership is testament to the health and profitability of the industry. So where is WebRTC when it comes to making money? Before we can answer that we need to understand a little about the technology. The whole reason for being of WebRTC is scalability. If we want to be able to embed communications into any device, and seemingly we do, then current client technology, mostly SIP, doesn’t cut it. WebRTC can be embedded in any browser in theory. At least that’s the ultimate goal. WebRTC also comes with a simple set of APIs that should allow any web developer to incorporate the capability into a site design. One can envisage a WordPress plugin for example. So WebRTC is about simplicity and scalability of deployment. It’s also about interoperability but I’m not going to touch on that in this post. Interop goes with scalability really. What you will be selling is a capability. A solution. An added value function. There are one or two business models that spring to mind. Using the WordPress example from earlier in this post there is likely to be a support ecosystem for devs in the same way that now exists for WordPress. Linux is another example. Web developers will be able to sell Real Time Communications functions in websites they pitch to their clients. Customer service organisations will lap up such capabilities. How great will it be to ba able to talk to customers browsing your website and answer any sales questions? Push some relevant product pages maybe? There could well be some infrastructure money to be made. PSTN Gateways?! The biggest question in my mind is how a sales channel might approach WebRTC. It’s always been said that traditional telephony channels found it hard to adjust to the world of VoIP. WebRTC takes this a step further away from their comfort zone. Now you need to be able to talk web design to customers. We live in fast moving and interesting times and it won’t take WebRTC nearly as long to climb the maturity curve as did VoIP. In fact it is already pretty wide scale use. Google Hangouts for example, and Facebook Messenger. The Internet of Things is a natural port of call for the tech. IoT, IPv6 and WebRTC. An engineer’s dream. We got it wrong with the concept of the intelligent fridge. Really we shouldn’t expect it to know when we need more milk. We will however find it useful ourselves to talk to Tesco to ask them to deliver some more and we will do that via WebRTC. Strike while the iron’ hot and before the milk runs out. At last we will be talking to our fridges mwahahahahahaaaaaaaaa. Real Time Campaigning: How will WebRTC and other tech impact elections in 10 years’ time? WebRTC – where are the real world applications? There of course already Drupal and WordPress plugins. The API’s are rich and allow data, video and audio. All brilliant and encrypted. The issue is the peer to peer is great for the customer to website owner scenario but most of what the vendors push is of course MCU kit. Lots of open source ones out and Jitsi has been bought. FreeSWITCH has one now too.